Aquaman star Patrick Wilson wraps on Gary Dauberman's Annabelle 3 and updates on Michael Chaves' The Conjuring 3. Patrick Wilson and Vera Farmiga have been confirmed to return as Ed and Lorraine Warren in Annabelle 3, the next entry in The Conjuring universe. Director James Wan shares new photos of stars Vera Farmiga and Patrick Wilson on the set of The Conjuring 2: The Enfield Poltergeist. Kurt Russell, Patrick Wilson, Richard Jenkins, Matthew Fox and Lili Simmons are featured in 5 new character posters for Bone Tomahawk. Director James Wan shares a new photo from The Conjuring 2 set, offering our first look at Vera Farmiga and Patrick Wilson. 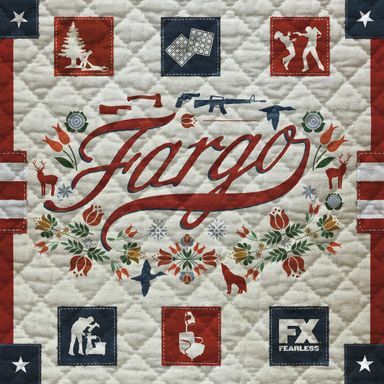 Ted Danson, Patrick Wilson and Jean Smart join the cast of Fargo Season 2, which will start production January 19th in Calgary. Patrick Wilson plays a limo driver who gets in way over his head when he takes on a crazy client in the red band trailer for Stretch. Four men go on a rescue mission in the Western Bone Tomahawk, starring Matthew Fox, Patrick Wilson and Kurt Russell. Scheduling conflicts have forced Patrick Wilson to leave Ant-Man, while Matt Gerard and Kevin Weisman's characters have been written out. Andy Goddard directs this adaptation about a man who becomes obsessed with a murder case, also starring Imogen Poots and Toby Jones. The actor has landed the last major role in director Edgar Wright's Marvel Phase Three adventure. Lin Shaye, Leigh Whannell and Producer Jason Blum are also on hand for a look at this anticipated horror sequel, in theaters this weekend. The film also has the largest three-day opening for a horror film, and is the largest opening for Saw creator James Wan. Vera Farmiga and Patrick Wilson take on the most terrifying case in the history of real-world supernatural occurances, in theaters July 19th. Demon ghosts love feasting on baby bones in director James Wan's upcoming horror sequel, haunting theaters this September. Joe Carnahan is directing this action-comedy about a billionaire who makes his limo driver's life a living hell. We also have an inside look at some of the props that were present at an event involving James Wan's horror sequel. Director James Wan's follow-up to Insidious finds two paranormal investigators battling a demonic farmhouse, in theaters this June.